Most golf courses are spread across 110 to 190 acres. A regular round of golf comprises of eighteen holes. And players are bound to get tired from all the walking and to move around. So adding animatronics dinosaurs to the course could lighten up and ease the situational hazards that players might face. Not only will it add a little vibrancy to the surrounding but also make a point of attraction. It is fund to place a Plesiosaur on the water. And you can make it animatronic with spraying water. With the availability of well manufactured waterproof dinosaurs, dinosaurs can be placed in the water hazard areas. They are waterproof and will not wear off; also they serve as a greeter adding humor to the tough situation to the course of the game when it reaches the hazard areas. It is quite useful because when a player is continuing towards a particular thing and boredom strikes in a little animation helps lighten their mood which in turn helps them to play better. It also boosts their concentration by refreshing their mind. It is a basic visual refreshment and is helpful. 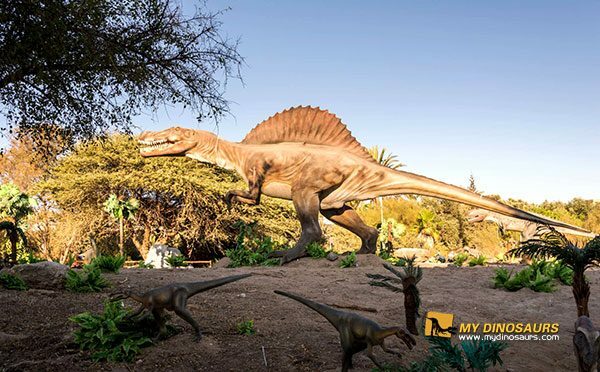 Imagine if a huge, life-sized Tyrannosaurus Rex, Spinosaurus, or any other species of dinosaur adorning the walkway of the golf playground, standing tall and mighty, giving visitors the great visual impact. They can be static or moving with the animatronic gear. Also, these huge creatures act as landmarks at the golf course. 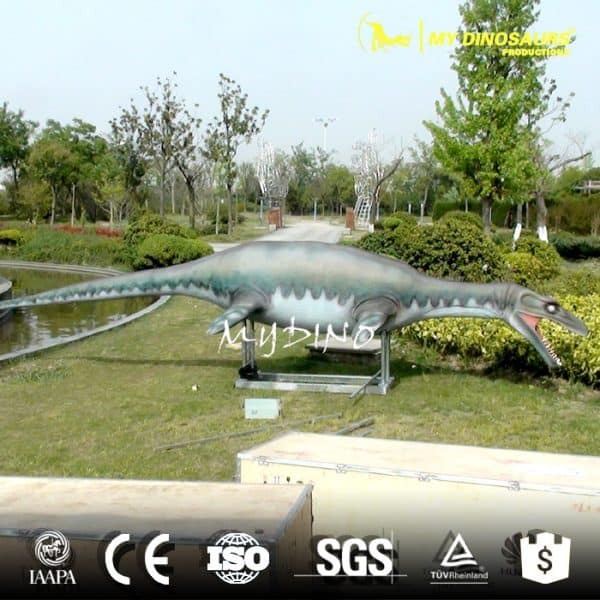 A large animatronics dinosaur placed on the walkway gives it a different look from the usual mud and trees. It is also a great place for photography, particularly for dino lovers. 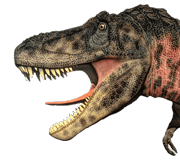 It simply indicates, animatronics dinosaurs, smaller in sizes being placed around the golf course, under trees or around a gardenia. It can please people and uplift the usual boring look of the places while animals in a playground always disrupt the game. Animatronics dinosaurs are artificial, controlled by remote which means that they cannot just wander around the golf playground by themselves. Animatronics dinosaurs act as the scarecrow and wards off these unnecessary disturbances. No playground is complete without a canteen! Every player likes to go to the cafeteria when they are famished and tired. And for dino lovers, having a dinosaur-themed cafeteria is a great thing to vouch for. Dinosaur-designed chairs, tables, curtains, mugs, plates, are the fresh experience for visitors and players. Also, these cafeterias if open to the public can add to their catering business and increase their revenue. So by now don’t you think it would be a great idea to add something extraordinary to the usual playground? This entry was posted in Dinosaur Attractions and tagged animatronic dinosaur for mini glof, dinosaur mini golf, dinosaur theme mini golf, golf playground dinosaur.